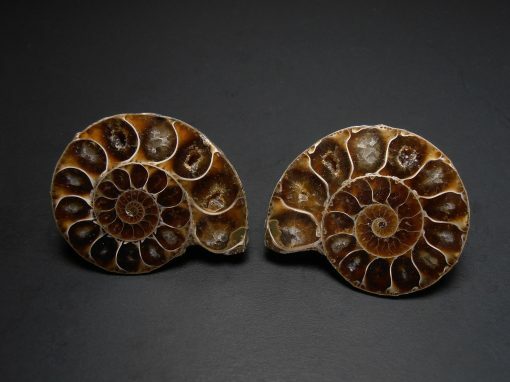 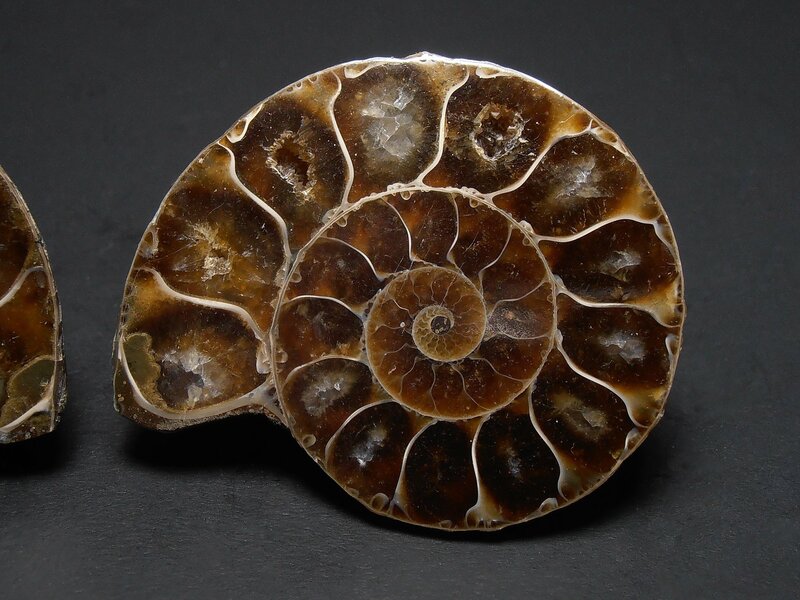 This ammonite fossil is from Madagascar. It was one of a variety of similar mollusks that are now extinct. They were similar to today’s nautilus which also have chambered shells. 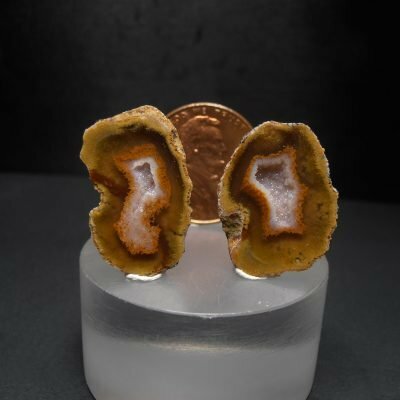 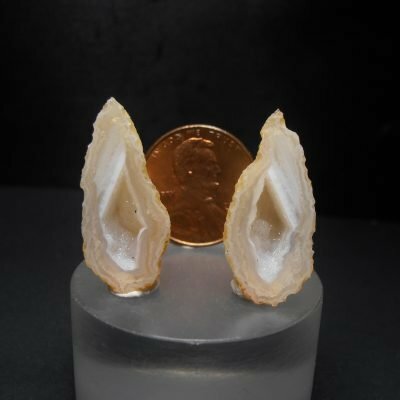 In this case the original shell of the animal was replaced by amber colored calcite (Ca, C, O). 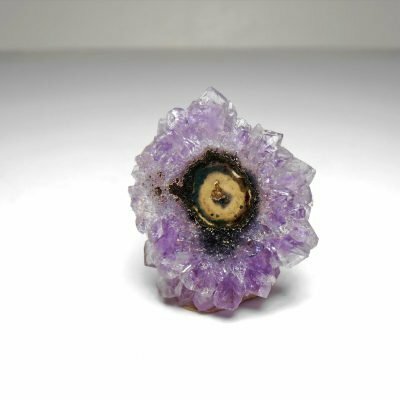 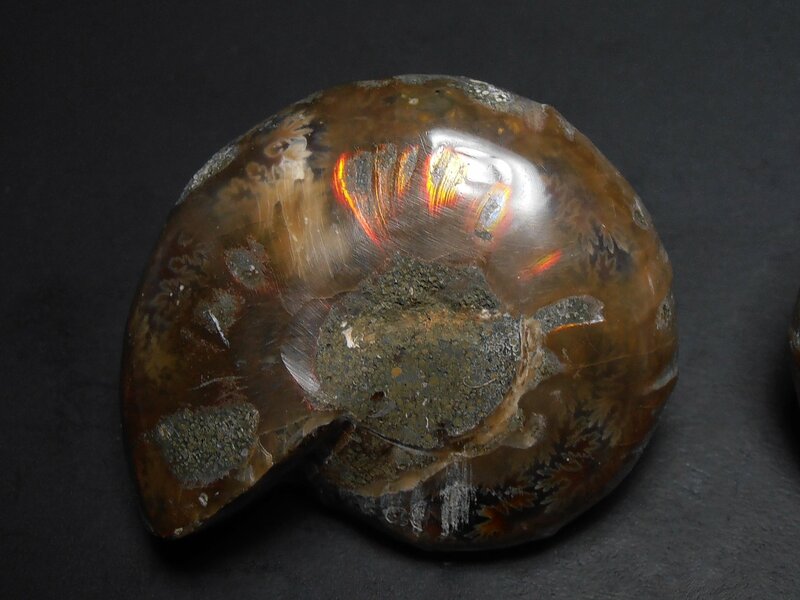 This fossil has been split and polished to a gem luster. 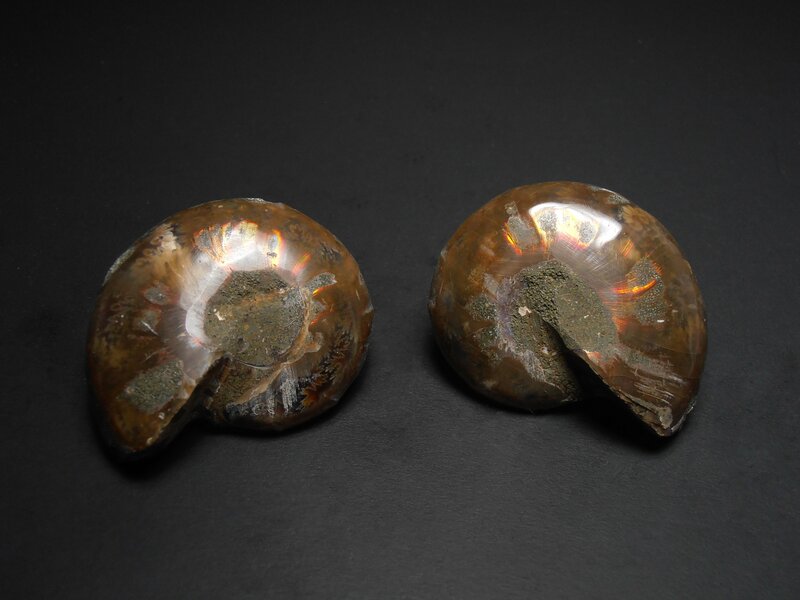 Some of the chambers retained voids that are filled with crystals. 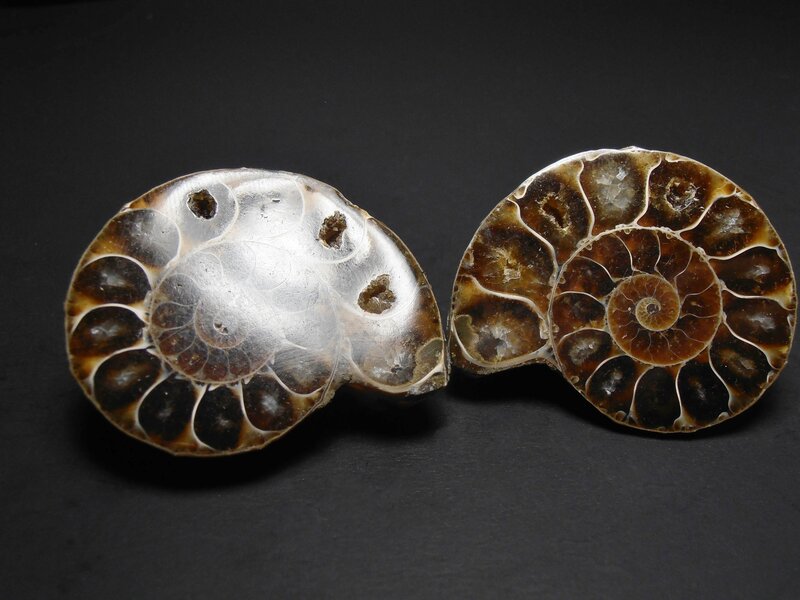 The exterior nacre of the shells was converted to an iridescent gem stone that is also called ammonite. 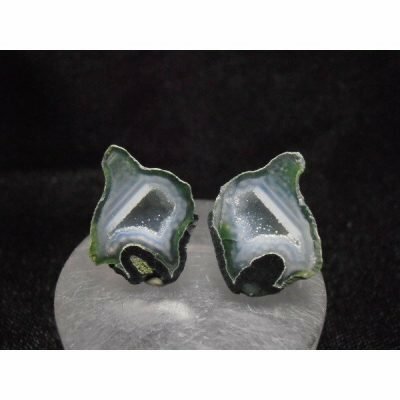 Each half measures approximately 1 3/8 x 1 1/4 x 3/8 inches or 35 x 32 x 9 mm.